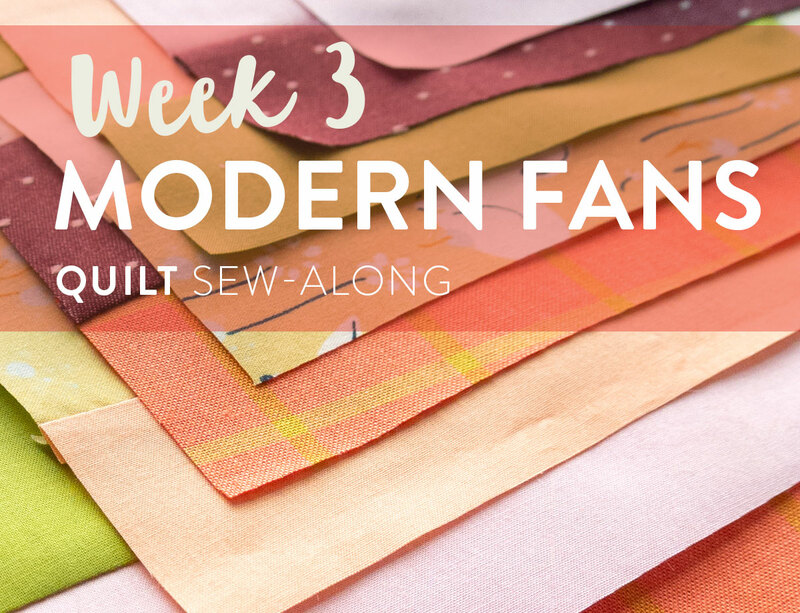 Welcome to Week 3 of the Modern Fans Quilt Sew-Along! This is where the real fun begins. So far in our sew-along we haven't actually done much sewing. 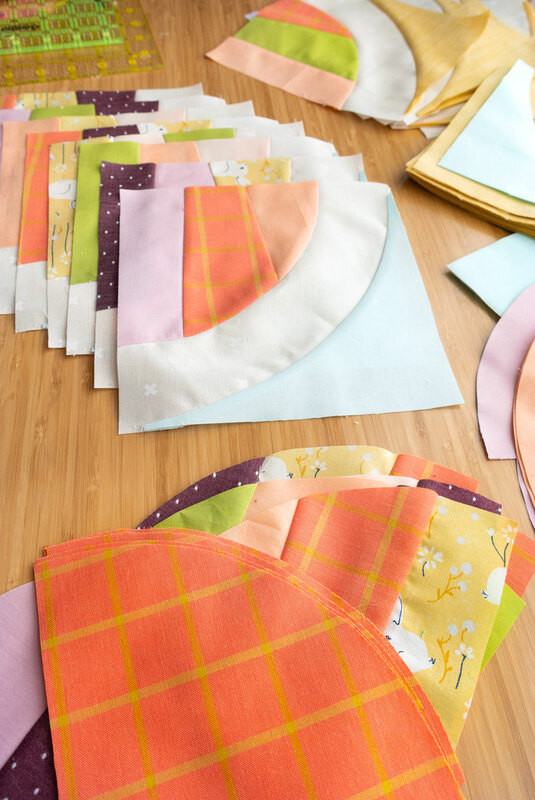 Maybe you did a little strip piecing last week, but we haven't tackled full quilt bocks yet. So do you know what we're finally gonna do this week?? 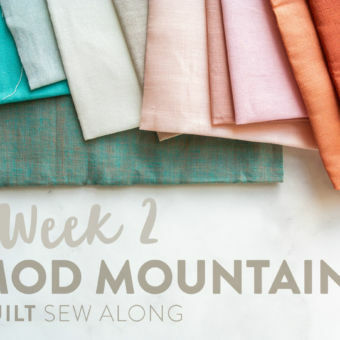 Week 9, Nov. 7: Sew rows together for a finished quilt top! If you are a first time curve sewer, never fear! I am here with you and will show you lots of helpful techniques to ensure circle success! 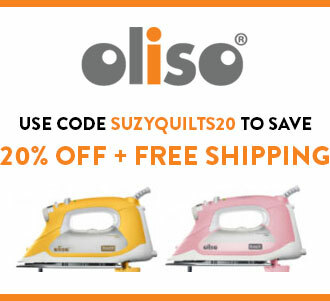 This video below demos how to sew curved blocks without using any pins. 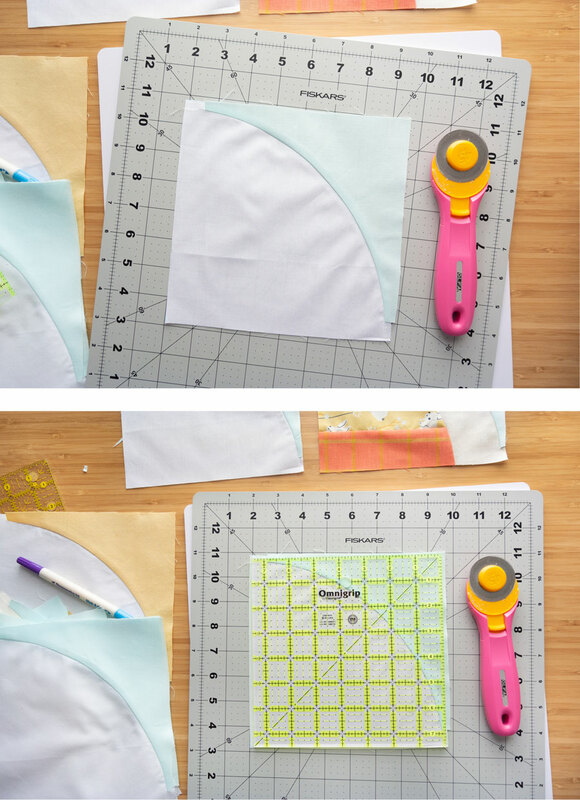 I like to do this when sewing Template A to Template B. With the other templates, I've started creasing in the center of both pieces of fabric, lining up those creases, and adding pins to hold them in place. 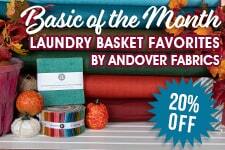 There is an illustration of this in the Modern Fans pattern on page 4. 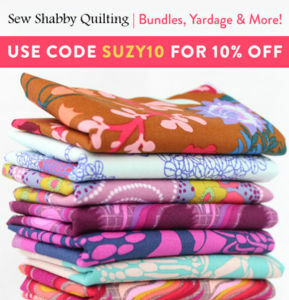 I also demonstrate this technique in a video in the Suzy Quilts Patterns Facebook group and in the public IGTV forum. (Same vid. Different locations.) You do not need an Instagram profile to view a video in IGTV. In fact, all of the videos I post in the Facebook page I also post publicly in IGTV so anyone can see them. There really isn't. I have found that sewing pin-free or a using a single pin is my preferred method. 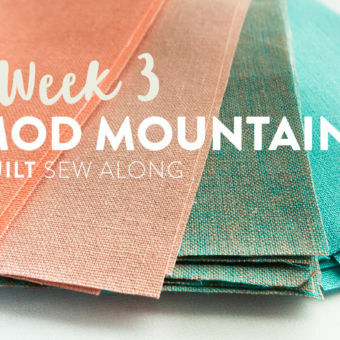 Some of you, however, may want to use multiple pins to take all of the guess work out of sewing. One technique I did try, just for the sake of saying I tried, is glue basting. Personally, not a fan. 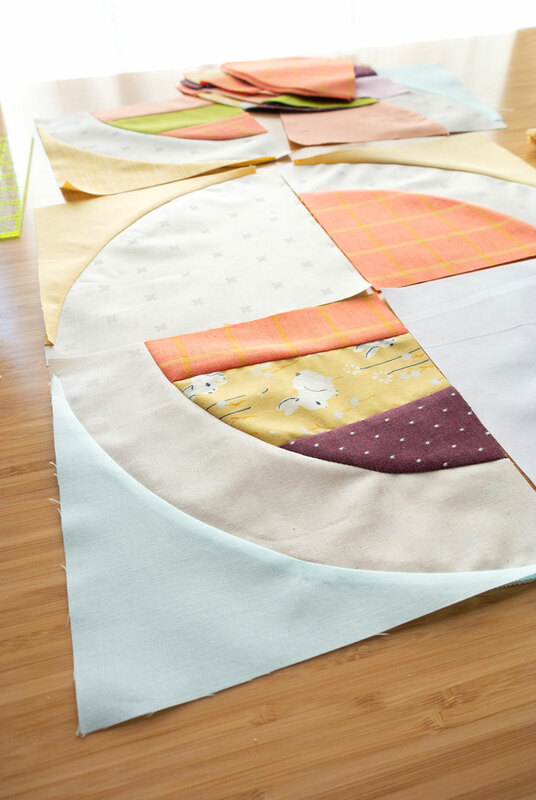 I can zip through sewing a curved block in about 15 seconds. Glue basting was taking me a lot of prep time. Prep time I think is unnecessary. 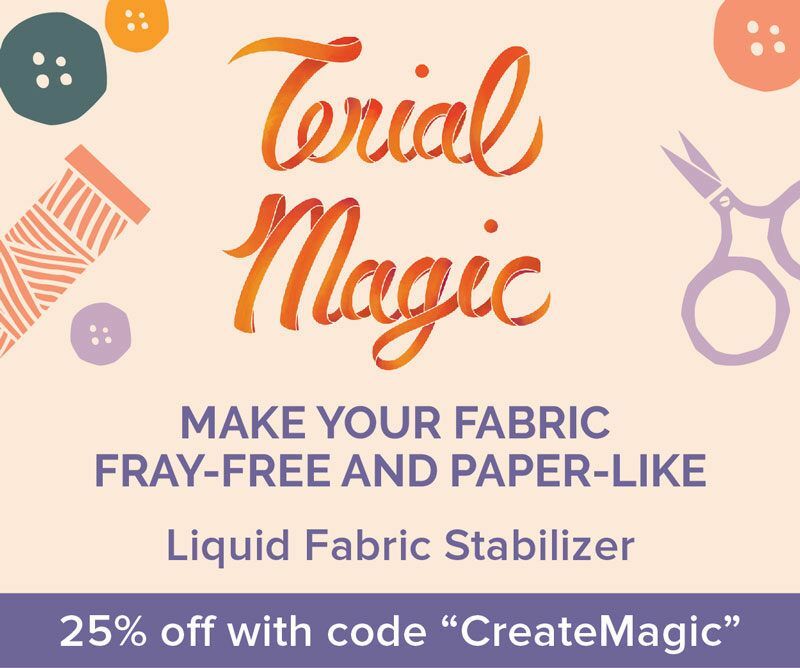 You also probably know, if you've been reading this blog for a while, I'm not big into using liquid glue around my iron. One of my biggest sewing pet peeves is a dirty iron and inevitably I get glue on it and inevitably it gets scorched and inevitably that ends up on some of my fabric. I'm a mess. I've accepted it. 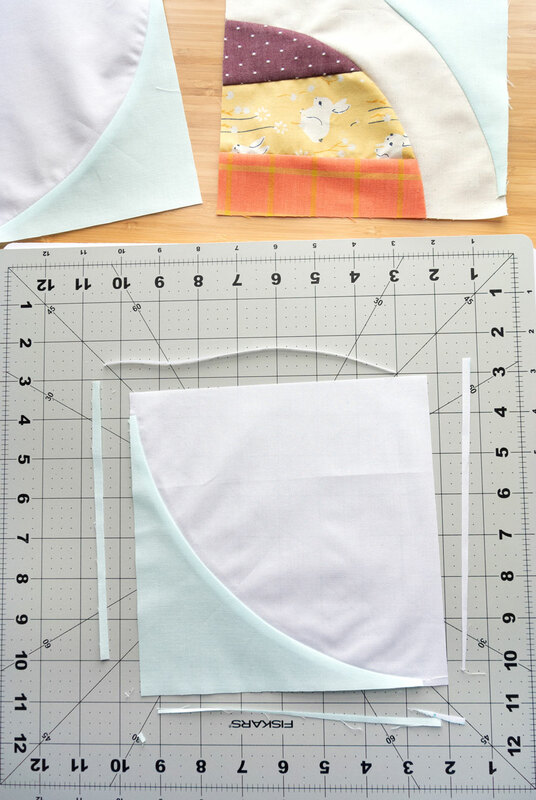 However, as the header of this section says, there is no wrong way to sew a curve. 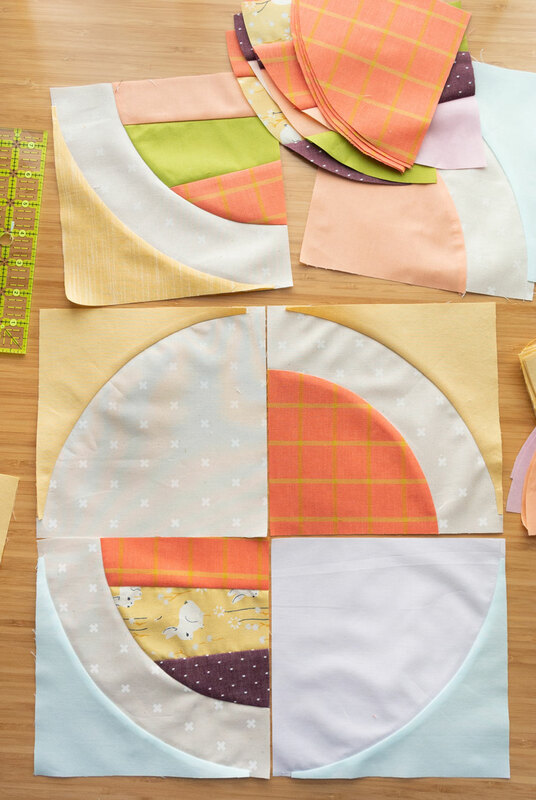 If you use glue basting in your regular piecing, give it a try with curves. You may love it! I do suggest, though, that you get a fine tip for your liquid glue, otherwise you will have a serious disaster on your hands. Here's the liquid glue I own. In the list of supplies shared in the Week 1 blog post, I suggest getting a 7 1/2" square ruler. One thing I forgot to mention is a rotating cutting mat. You can see mine below. This cool little contraption allows you to move your mat rather than pick up your ruler and move your block. It's wonderful for accuracy and allows you to always cut away from yourself. See how easy this square ruler makes trimming? I try to always line up the same spot on each block so that they are all trimmed the same. below you can see that I've rotated my mat 180-degrees for easier trimming. Even though we are only making 14 blocks this week, I recommend making at least one of every kind of block used in your layout. That way you can lay them next to each other and trim them in such a way so you know that the Template B shape will make a continuous circle and the Template D shape will line up with each other to form beautiful diamonds. My layout does not include continuous circles using template B, but I do include trimming and lining that up in the demonstration video. Watch this video for a clear trimming demonstration. Fast forward to 16:50 to get straight to the trimming part. Before that, I show how to sew curves and press seams. 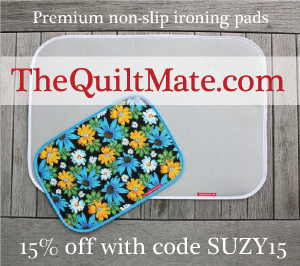 In Week 2 we awarded @lexbrundin_100blocks a large QuiltMate portable ironing pad as well as a Cotton + Steel thread bundle from Sulky Threads. 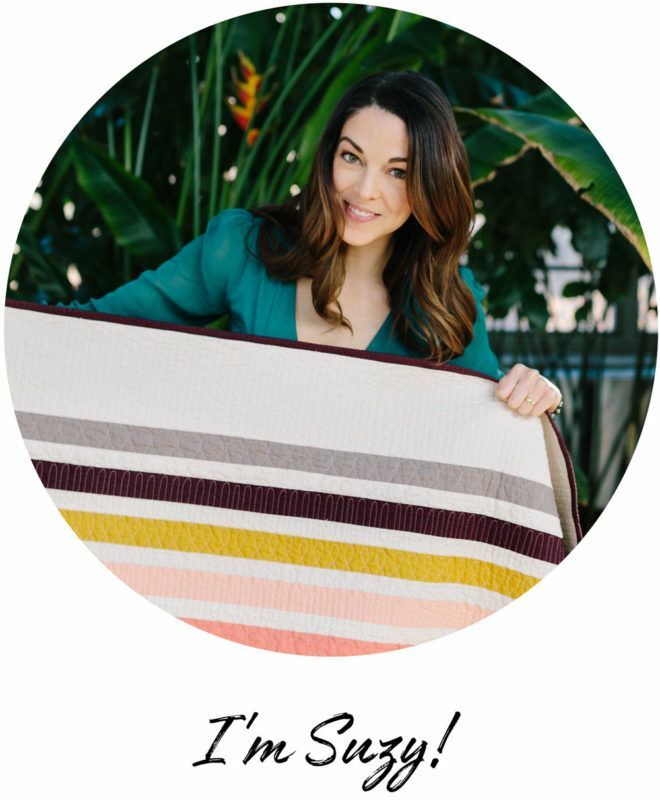 If you are majorly bumming that you didn't win those pretty spools of thread, don't bum out too hard because Sulky is generously sponsoring Week 6 as well! 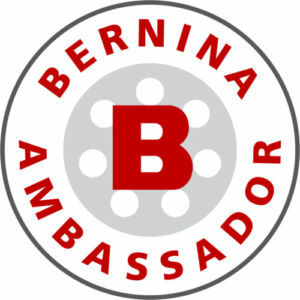 ​For a full list of the sponsors and future prizes, check out this post. But what's the prize this week? 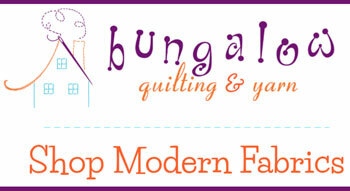 A $50 gift certificate to Fabric Bubb! 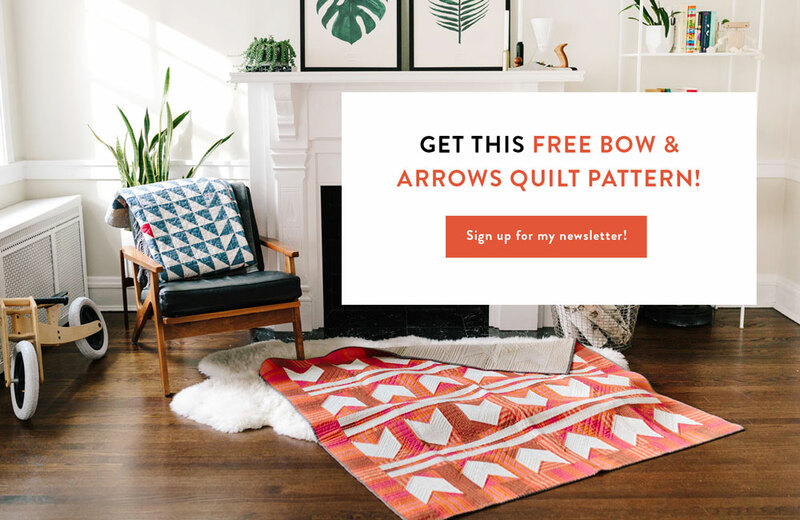 Photo prompt for Instagram: Post a picture of some finished Modern Fans quilt blocks and use #ModernFansSA. You must have a public Instagram profile to participate. Each photo posted is an entry and you can enter as many times as you want in a single week. Once the week is over, those posts do not count in the next week's giveaway. Every week we start fresh. This prize is open to international contestants. Your photo must be posted between 12:00 a.m. CT on Wednesday, Sept. 26, 2018 and 1:00 p.m. CT on Tuesday, Oct. 2, 2018. The winner will be picked randomly from all qualifying posts and announced at approximately 4:00 p.m. CT on Tuesday, Oct. 2, 2018. 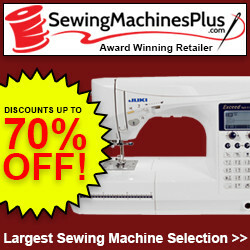 Just a reminder that the grand prize for finishing your quilt top by the final week is a BERNINA 350 PE sewing machine! See this post for more details. 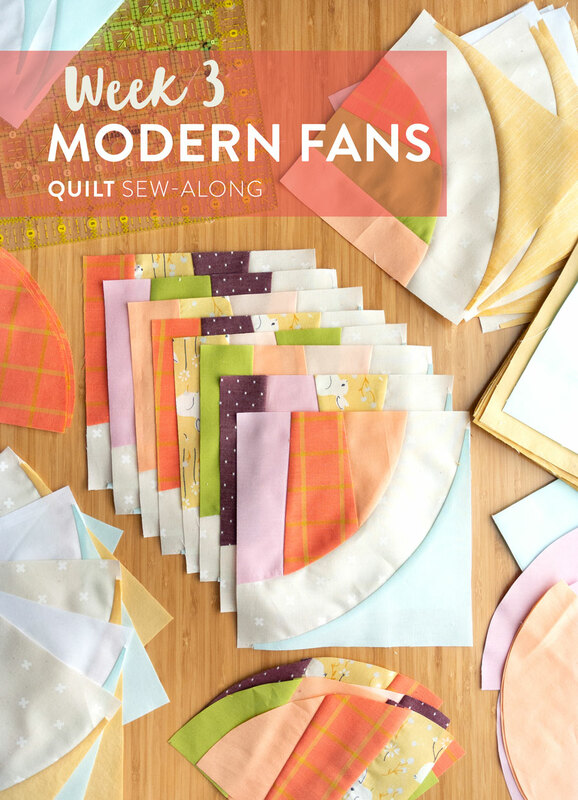 What are you thoughts on the Modern Fans sew-along so far? Are you loving curves? Or maybe realizing that curves aren't for you. haha! Whatever you're thinking let me know in the comments. And if you have any questions at all, don't hesitate to ask. Ciao for now! That video was mesmerizing, Suzy. Like, you could be a yoga teacher with that voice if this sew along doesn’t work out. hahaha! I’ll keep that in mind, except you might think something differently after watching me try to do a headstand. The videos and seeing different color schemes has really helped/motivated me. I don’t really have time to work on the SAL but I’ll get as much done as I can. Thanks for hosting! Curves are much easier than anticipated! Don’t be shy guys- pedal to the metal!! I’m having a blast sewing these curves! It’s so much easier than I thought it would be and your videos helped tremendously. 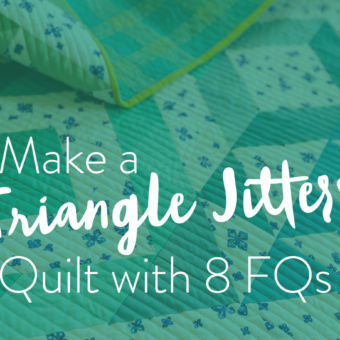 I’m new to the quilting world (this is my second quilt, first time following a pattern) and I’m hooked … big time! Thanks for being an awesome teacher! These are much quicker than I thought they would be, how FUN! 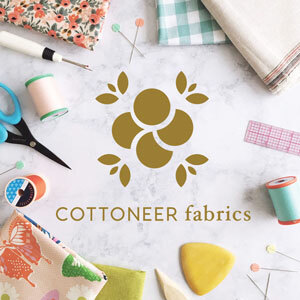 So if I’m only making a lap size, do I make 14 more blocks of a different fabric scheme in order to be eligible for next weeks prize? Sewing the curves was easier than I thought. I AM having a problem cutting precisely and I have made an eye doctor appt! This is a fun sew along.